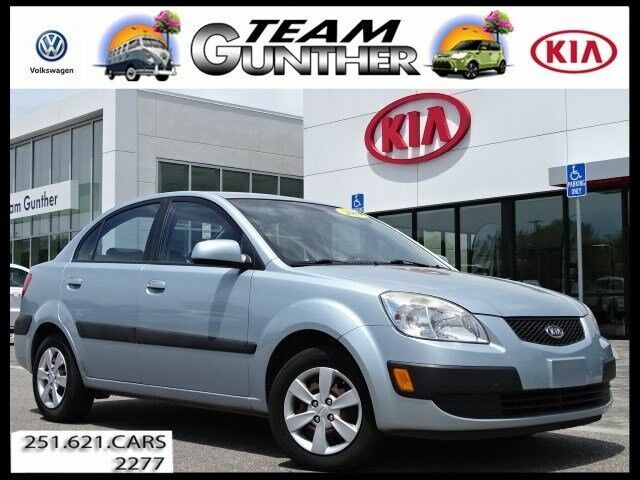 Team Gunther Kia has a wide selection of exceptional pre-owned vehicles to choose from, including this 2009 Kia Rio. Save money at the pump with this fuel-sipping Kia Rio. One of the best things about this Kia Rio is that it has low, low mileage. It's ready for you to truly break it in. This is the one. Just what you've been looking for. The 2009 Kia Rio is one of the lowest-priced cars for sale in the U.S., and it is also one of the more fuel-efficient, with a city EPA rating of 32 mpg. It also stands out for its nicely tuned suspension, which offers a less choppy ride than many other small cars, and for its generous interior space. According to Kia, the Rio sedan's 92.2 cubic feet of passenger volume is larger than either the Honda Civic or Toyota Corolla. The Rio is also especially attractive for its warranty coverage.